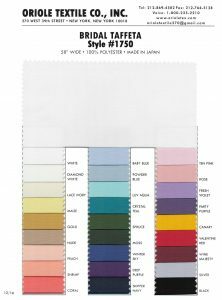 Oriole Textile was founded in 1929 and specializes in the distribution and sale of a wide variety of wholesale fabrics. We serve thousands of clients across many different markets. Our costumer base largely consists of Fabric Stores, Bridesmaid Manufacturers, Bridal Shops, Dressmaking Shops, Party Coordinators, Florists, Event Planners, Decorators, Dress Manufacturers and more. 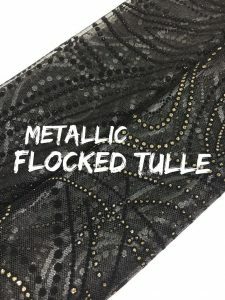 Whether shiny or matte this decorative material is used for dress goods, formal and evening wear apparel as well as an assortment of table coverings. 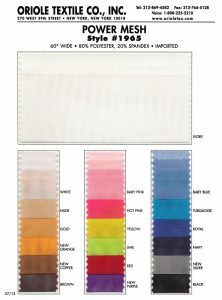 Used for ballet costumes, tutus, bridal veils and formal gowns, especially suited for over draping effects. Fine, very lightweight, delicate and dressy. 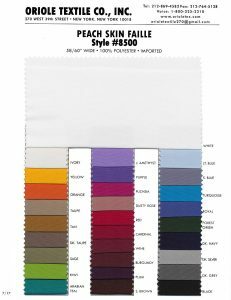 A fine weave fabric makes it excellent for dresses, suits, linings because it drapes and tailors well. Also used for handbags. 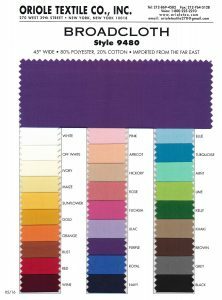 Lightweight clothes linings are perfect for draping gala events, weddings and Bar Mitzvah's. Light shines thru yet the backdrop remains hidden. 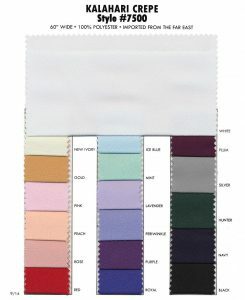 Taffeta is a traditional fabric and excellent choice for dresses, blouses and suits both plain taffeta and iridescent. Available with either a firm or soft finish.